“[Anne] could imagine Mrs. Clay to have said, that "now Miss Anne was come, she could not suppose herself at all wanted;" for Elizabeth was replying in a sort of whisper, "That must not be any reason, indeed. I assure you I feel it none. She is nothing to me, compared with you..."
What a low opinion to hold of one’s sister, especially when that sister is the incomparable Anne Elliot, giving preference to a conniving lady of questionable repute instead! This is a case where I feel more pity for the insulter than the insultee, for her statement does far more to illuminate her own limitations than injure Anne. And now for the main event! I ranked insults based not only upon their degree of venom, but also their significance to the plot. I am sure many will disagree in my choices, and I am all anticipation to hear the opinions of others while defending mine own. “We must wait, it may be for many years. With almost every other man in the world, it would be an alarming prospect; but Edward's affection and constancy nothing can deprive me of I know." "I am not going to urge her," replied Mrs. Norris sharply; "but I shall think her a very obstinate, ungrateful girl, if she does not do what her aunt and cousins wish her--very ungrateful, indeed, considering who and what she is." Aunt Norris gets credit for being one of the most vile of Austen's creations, and this quote is perhaps one of the most hateful things any Austen character ever says. However, her bad disposition minimizes its impact, for we expect nothing better from her, and while we know Fanny Price feels the sting of these words exceedingly, I wonder if the worse part of the situation is not the slight, but rather having to endure Mary Crawford’s condolences afterward. More salt is rubbed into the wound when Edward holds this display of sympathy up as an example of Mary’s superiority. Poor Fanny! “Miss Morland, no one can think more highly of the understanding of women than I do. In my opinion, nature has given them so much that they never find it necessary to use more than half." 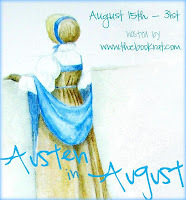 This is actually one of my favorite quotes in all of Austen and much more in keeping with my first thoughts regarding this post. I would love to put it in the number one slot, but as it is meant purely in jest and with no intention of wounding anyone, Mr. Tilney will have to content himself with the bronze. I really think no further explanation is required, except to note how horribly this would rankle had it been written by a man. "Oh! very well," exclaimed Miss Bates, "then I need not be uneasy. 'Three things very dull indeed.' That will just do for me, you know. I shall be sure to say three dull things as soon as ever I open my mouth, shan't I? (looking round with the most good-humoured dependence on every body's assent)--Do not you all think I shall?" "Ah! ma'am, but there may be a difficulty. Pardon me--but you will be limited as to number--only three at once." In a novel about a woman learning her own limitations, this moment marks a climax. Without the infamous outing to Box Hill, we must wonder how Emma and Mr. Knightly’s relationship could have progressed – would he still have fled to London, and if not, could he have so misconstrued her response to news of Jane Fairfax and Frank Churchill’s engagement? Would she ever have been humbled enough to be worthy of Mr. Knightly, if not confronted with this glaring example of her own bad taste? On top of that, it is by far the meanest thing any of Austen’s heroines ever says. All this make it a strong contender for number one, and it was only beaten out by the fact that it is less pivotal to the plot than the winner. That being said, who is the most insulting person in Austen? Badly done, Mr. Darcy! But without these words (and Elizabeth Bennet’s overhearing of them), the entire tension of the plot would be null and void. I am particularly aware of this as I wrote an entire novel, First Impressions, based upon the fact, and I am not afraid to use this opportunity to for a little shameless self-promotion . Besides, how appropriate that the most constant criticism the book has received is its lack of tension! What better argument for this insult's paramount importance? Let me conclude with one final thought: were Mr. Darcy not so very repugnant in the beginning, would we be able to love him so desperately by the end? And if we can universally agree on this truth, is there anything conceivable that might have been done to redeem Mrs. Norris? Brilliant post, Alexa! What a job to have to narrow them down but you've picked some fabulous examples. I cringe whenever I read that Emma quote. That Tilney quote is excellent - sometimes I get the feeling that while Tileny is half in jest, Austen is completely serious. About some women at least. Totally agree with #1 and #2. I love Emma's snide and hurtful remark to a elderly lady who has known her from birth. As Knightley said, "Badly done Emma!" I think this was a brilliant idea for Alexa to tackle. I agree with number 1 because most people out there can recognize where it's from. Emma for number 2 is indeed the worst insult however in my mind. Actually it makes me so sad that I skip that part whenever possible. It's true but so cruel it just breaks my heart. Ms. Bates is feeling included and accepted even tho' she's really only included it seems because of her father's previous position then she's insulted in front of a group. I've had a similar experience and it's hard to recover. I enjoyed #5 as well. Wonderful quotes - and we haven't even got on to Jane's letters yet! #1 is truly amazing, because - as you say - despite it, we fall in love with the man. This is a great post idea. Definitely agree with #1. I always thought (and maybe this is just me) that Lizzy would've been more insulted by the second part than the first. Him saying out loud that she wasn't pretty enough is horrible, but the idea that she would need to be given consequence by HIM, as if she has none herself, now that would rankle. The only other insulting thing I can think of at the moment is when Lady Catherine tells Lizzy she's welcome to play the piano in Mrs J's room so she'll be in nobody's way. How embarrassing. Love the insults! *Is that bad?! LOL* I have to say hands down that Mr. Darcy's "barely tolerable.... not handsome enough" is the one that always got me! My heart always goes out to Miss Bates from EMMA. She felt the insult so deeply. I always like Mr. Bennett and his conversations with his wife, especially his comment about Mrs. Bennett’s nerves. He reminds me so much of my dad with his wit and banter. I agree with number 1 and 2. These are great quotes-I've always thought that Elizabeth's reply to Darcy's insulting proposal was right on target!